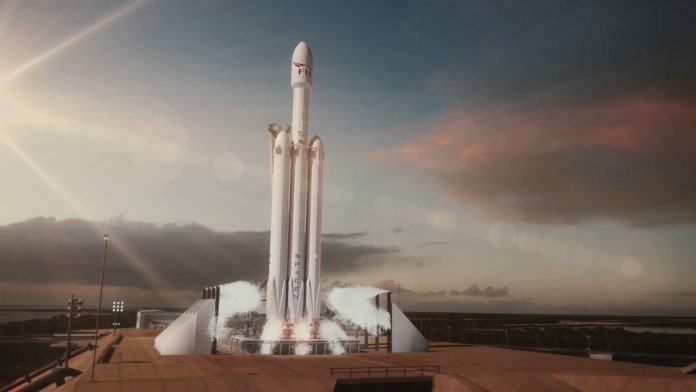 When Falcon Heavy lifted off, it was be the most powerful operational rocket in the world by a factor of two. With the ability to lift into orbit nearly 64 metric tons (141,000 lb)—a mass greater than a 737 jetliner loaded with passengers, crew, luggage and fuel–Falcon Heavy can lift more than twice the payload of the next closest operational vehicle, the Delta IV Heavy, at one-third the cost. Which is cool, but even cooler is they used David Bowie’s Life On Mars as the soundtrack to their promo video, showing the launch has a life force and a heart.